A family getaway in Montebello is perfect for some relaxing fun. It’s popular with families that live in Los Angeles and want a change of pace, as well as others visiting from other parts of the country. Montebello is a historic suburb of LA, with a diverse community of mostly Mexicans, Armenians, and Japanese. There are plenty of things to do as a family in the area, from the Montebello Barnyard Zoo to the Whittier Narrows recreation area. 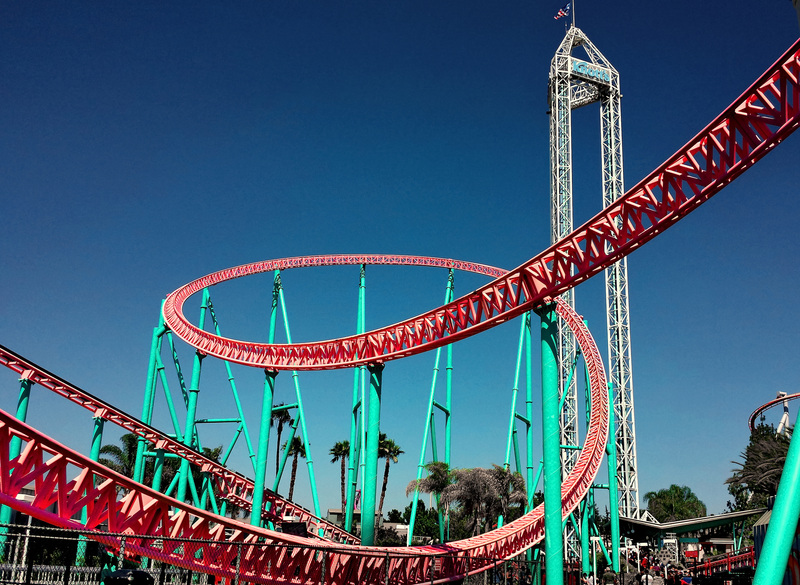 Knotts Berry Farm is about 20 minutes south of Montebello. This outing is best planned out as a full-day activity. There is something for everyone in the family at Knotts Berry Farm, from small rides for the little ones to thrilling roller coasters. The lines for rides are usually long, but you can buy a Fastlane bracelet to get past the lines. There are over 10 different restaurants to eat throughout the park, and an All Day Dining Plan can make meals easier. Kids love petting zoos, so a visit to the Montebello Barnyard Zoo is a great place for a relaxed outing. There are pony rides, cute animals to play with, a merry go round, picnic areas, a kiddie train, and a playground. The Barnyard Zoo is best for the little ones that love animals. The kids can feed the animals too if they want; food is sold for a couple dollars a bag. Be careful, though — the kids might want to take a bunny back to your hotel! Only a 10-minute drive from Montebello is the Whittier Narrows Recreation Area and Nature Center. This is the perfect place for families who enjoy hiking, biking, and being in nature. There are lots of different sections of the park with playgrounds and picnic areas. After hiking or biking around the parks and the lakes, visit the Nature Center. They have a guided nature walk every Saturday, and also offer printed guides about the animals and plants that can be found in the park. After a day in the sunshine, enjoy an evening of relaxation in one of Montebello’s comfortable hotels. The Vincent Price Museum is about five minutes from Montebello and is a great plan for the morning or the afternoon. The permanent exhibit showcases art from ancient civilizations, with many pieces from the pre-Columbian cultures of Mexico and Peru. There are always new exhibits about contemporary art among other topics. A visit to the Vincent Price Museum is great for families that love art and culture. It’s perfect for homeschooling and worldschooling families too. A relaxing family getaway in Montebello can be done any time of year. Kids of all ages can enjoy the activities available in the area. It’s best to get to Montebello by car or rent a car while there so it’s easier to get from place to place. Bring your bikes and hiking gear, pack the sunscreen, charge the phones so you won’t miss a photo opportunity, and get ready to enjoy fun in the California sunshine.